As a follow-up to the March 14th Ministry of Agriculture, Food and Rural Affairs News Release, the Municipality of North Grenville is pleased to confirm that it is acquiring a large portion of the former University of Guelph Kemptville Campus. After reaching an agreement in principle with the Agricultural Research Institute of Ontario in November 2017, an offer to purchase the property was agreed to on December 22, 2017, which would see the transfer taking place on Wednesday, March 28, 2018. The Agreement of Purchase and Sale stipulates that the Municipality will acquire approximately 633 acres of land, including 34 buildings, for the development of an Education and Community Hub focused on Education & Training, Health & Wellness and Economic Development with a focus on Climate Change Resiliency and Low Carbon Innovation. The operation and maintenance of the renewed Kemptville Campus will be through a wholly-owned not-for-profit corporation, which will operate at arm’s length from the Municipality. The mandate for the not-for-profit will be to develop the Kemptville Campus Education & Community Hub as a multi-tenant site. The renewal, which has already begun, has seen some of the campus land and building infrastructure repurposed for use by multiple French and English school boards for early years, elementary, secondary, adult education and related community service activities. Discussion with a number of other education and community groups are ongoing with the objective of leasing all available space on the Campus. 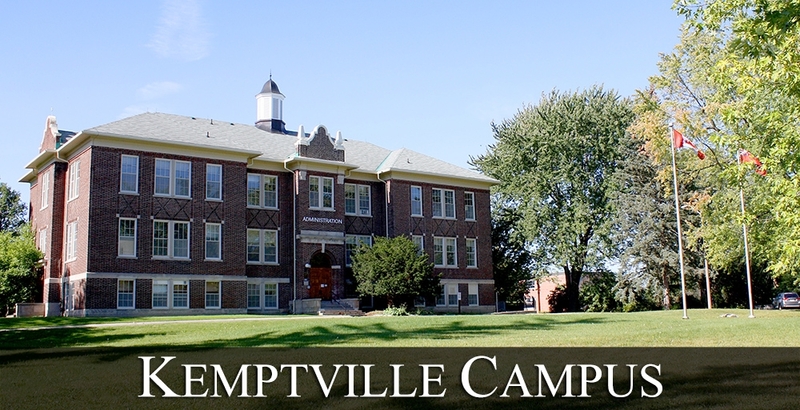 Kemptville College played a pivotal role for agriculture in Eastern Ontario for the past 100 years. As an Education and Community Hub, it is positioned to be a catalyst for climate change resiliency and low carbon innovation for all of its Local, Provincial, National and International stakeholders and partners for the next 100 years. A press conference to communicate additional information concerning the acquisition and future of the Kemptville Campus is planned for the week of March 19th, 2018. More details for this event will be provided as soon as they are available.